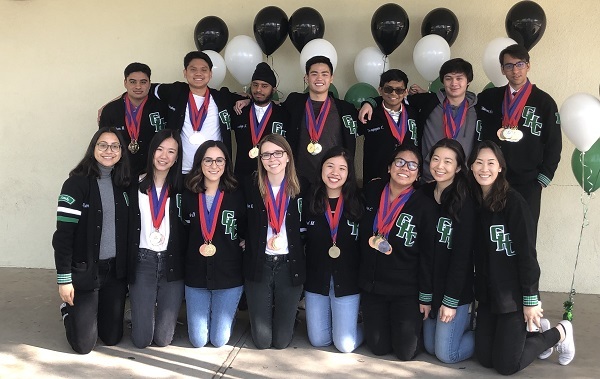 For the 7th time in 9 years, Granada Hills Charter High School's Academic Decathlon team has brought home the California State Championship! The academic decathlon is one of the most rigorous and competitive statewide contests requiring students to demonstrate academic achievement, leadership, grace under pressure, and most importantly the will to work hard to achieve the team's goals. It is a testament to not only the students, but the community that supports their efforts that Granada Hills Charter has been a consistent contender and victor in this challenge. Now the team moves on to nationals held from April 25-27 to compete against the top tier schools from across the country. These students have made us all incredibly proud and should be celebrated for their impressive achievements. Show the nation what you've got Highlanders!